Networking Event of the Year! Will You Be One of Them This Year? From the desk of … William Bronchick, Esq. If you are serious about using real estate to create both QUICK CASH and long-term financial security for you and your family, you must attend this powerful, wealth-building conference in Denver Colorado on October 6th and 7th, 2012. But a warning: This event is not for everyone. It’s not for people who don’t have ambition. It’s not for people who have no desire to “hustle to make more money. It’s not for people who whine about their financial situation but are unwilling to do something about it. I’m asking you to invest $99 and one weekend of your life to become a five percenter. The vast majority of the millionaires in the United States derived their wealth through real estate. Real estate has turned more ordinary people into wealthy people than anything else. But not all forms of real estate investing are equally profitable. Come to this incredible Real Estate Convention and learn what are the most profitable real estate investing strategies for 2012 and beyond. Markets are changing. Many of the old formulas are no longer working. You must learn to adapt to changing markets. My expert team and I will show you how to profit no matter if your local market is up, down or sideways. This is a Convention with something for every real estate investor. Those with limited funds or limited experience. Credit challenged? Even in today’s crazy market, you do not have to qualify for financing. We will show you how true that is. You can succeed without filling out a loan application. Leaving your financial future up to your boss (“Will he give me a 3% raise this year?”) or some stockbroker or “financial planner” will mean a lifetime of worry and insecurity! If you would like to have the ability to make as much money as you would like, whenever you like, you must become a real estate investor. If you are already in real estate, you must learn how to run it like a business, not like a part-time hobby! These are just two of the dozens of topics covered at the Convention! If you aren’t getting the financial results you want, you MUST try something new. Working harder with the wrong formulas won’t get you better results. Don’t work harder, make your money work harder! Traditional investing is hard and slow. You need to learn new ideas to make more money with less effort – and that is exactly what we are covering at this year’s Wealth Building Convention! Get Out Of The The Grind & Enjoy Life! If you are out of town, come to Colorado this October for our Convention! Colorado is always beautiful but it is especially beautiful in October. Real estate investing gives you the ability to slow down, reduce stress and take pleasure in life. Do you want to take some time off to perfect your golf swing? Spend more time with your kids or grandchildren? Tell your boss to “take a hike”? (Remember that a CEO is a “Chief Embezzlement Officer”.) Tell your stockbroker you don’t need his “advice” any more? If you answered “yes” to any of these questions, you owe it to yourself and your family to attend this power-packed Convention. We guarantee you’ll get at least one valuable wealth-building idea – something you didn’t know before – from each and every speaker. You will get DOZENS of powerful ideas from most speakers! Just one idea from one speaker that helps you make an extra $10,000 this year is enough to make this Convention the best investment you make in 2012 and beyond! Plus, you will learn cutting-edge ideas from other experienced investors from around the USA who attend the Convention. The ideas you learn from our World Class Instructors and from fellow investors will give you the tools and the motivation to go out and make more money with less effort in the ultimate investment: American real estate! the More Successful You Become – It’s a Fact! Your parents may have told you “watch out who you hang out with”. Well, in some sense, they were right, particularly when it comes to financial success. Who you surround yourself with in business will generally determine how much you make. To increase your business and your income, you need to be exposed to the type of people who think and act the way in which you need to think. The people who attend our seminar are by far what makes us stand out from the crowd. Our attendees are not your average seminar crowd – they are the movers and shakers in the local market who know the game. Many of our past attendees have been people who are already highly successful and come to continue their real estate education and gain new information and more importantly to network and build their business. Use this event as a way to create new partnerships, meet new contacts or just find people to inspire you to succeed to the next level in your financial goals! Or, Anyone Else Who Wants to Buy a Home or Use Real Estate as a Vehicle to Create Serious Wealth, Security & Freedom For Themselves! 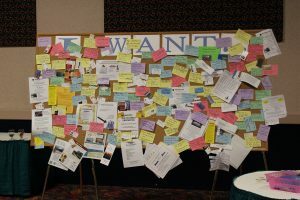 At the back of the convention hall there will be two giant boards – one for “I want” and one for “I have”. By the end of the weekend they will be packed with deals, investing opportunities, partnering opportunities, and people with money to lend or JV with. 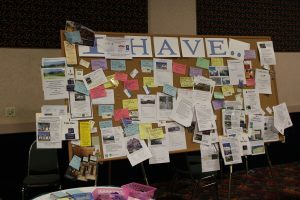 Dozens of deals get transacted every year at the convention from these boards. But, you can only get access if you attend the convention! You Can Still Make A Fortune In Real Estate! Think you can’t still make a fortune in real estate? Think again! Other investors are making a bundle right now in your backyard using the powerful techniques that will be revealed at this Convention. We are going to see a rash of foreclosures in Colorado and across the nation as a result of sloppy lending practices. While some see this as a problem, savvy investors see this as opportunity! Whether your real estate market is on the upswing or on the way down, WE WILL GIVE YOU TECHNIQUES THAT WILL GUARANTEE YOUR SUCCESS. Your competitors may be at this Convention learning ideas to fund their retirement. Why let them have the edge? Attend the Wealth Building Convention yourself and learn techniques that can help you retire ten years early! Take advantage of these powerful money-making techniques and dominate your marketplace! One Weekend Could Change Your Life! These are two days that can change your life. What do you do on the average weekend? Mow the lawn? Rake leaves? Watch television? Go bowling? Can’t remember? Enjoy a weekend unlike any you have ever experienced! Come to the Mile High City and spend two days that you and your family will remember for years to come. July 4th is Independence Day. October 6th and 7th will be your “Financial Independence Days” the weekend you learned how to achieve true and lasting Financial Freedom! Can’t take off the whole two days? No problem! Some of our attendees last year could only make it for one day and they still learned techniques that are putting hundreds of thousands of dollars in their pockets! Don’t want to give up two days of rest and relaxation? Do what many of our attendees did last year: take your “weekend off” on two days BEFORE or AFTER the Convention! That’s right! Cash in some of the sick leave! After all, you are sick of your job, aren’t you? You earned it! Remember, if you don’t use that sick leave before the end of the year, you will lose it! Cash it in now! Plus, remember that you can get lots of rest and relaxation in Denver (maybe more than at home!). That lawn can wait another weekend (or hire a neighborhood kid to mow it for $10 while you learn how to make $1 million!). Make this a Learning Vacation – and have Uncle Sam pay for it! Will your spouse complain if you are gone for the weekend? Bring him or her along! See our special spouse (or partner) discount! Remember, the family that learns together EARNS together! Use Real Estate Riches as a way to keep your family united, healthy and prosperous! You don’t have to be clever, or creative, or wealthy to become filthy rich … you simply have to imitate just one proven system that already works, and put it into action. That’s it. Dead simple. Find someone who is successful, and simply do what they do! It’s that simple! As the saying goes, “Why create mediocrity when you can copy genius!” So, with that in mind, I’ve invited some of these geniuses who’ve already “been there and done that” and can show you their systems of success so you can copy exactly what they do and get the same results! We’ve assembled a team of the nation’s best-selling authors and experts to share their vast real estate knowledge and experience with you! We’ve hand selected these people because of their “no-hype” approach. These speakers are real, practicing experts who do speaking PART-TIME while they continue to build fortunes in real estate. 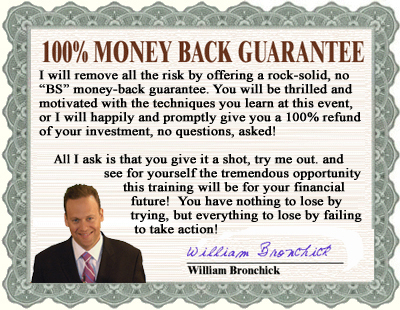 Best-selling author and attorney William Bronchick is the President and founder of the Colorado Association of Real Estate Investors. 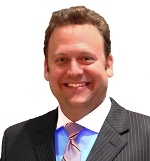 He’s been a practicing attorney and real estate investor for over 20 years. Mr. Bronchick has been interviewed on CNBC, Fox31 News, 9News, TIME Magazine, USA Today and dozens of other prestigious publications for his expertise. William Bronchick will discuss Seller Financing and Apartment Investing. 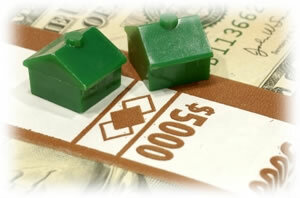 You can become wealthy finding and selling real estate notes. If a property seller takes payments from a buyer, the payments represent a note. Rather than wait years for monthly payments to trickle in, many sellers prefer a lump sum of cash right now. You find these notes and profit handsomely. A simple online search connects you with investment companies ready to pay you big bucks when you find these notes. 4- and 5-figure checks to you are possible every month. Donna Bauer, one of the nation’s leading experts on buying and selling mortgage notes, will tell you what it’s all about and how you can cash in. 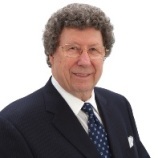 Dr. Albert Lowry has been the foremost real estate expert in the USA since 1977.Aside from earning his Ph.D. in Business Administration, Dr. Lowry has written and published over 20 books. His first, How You Can Become Financially Independent by Investing in Real Estate, earned the distinguished Best Sellers List of the New York Times for three consecutive years. 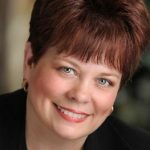 As a result of earning many professional real estate designations, Dr. Lowry was hand-picked to teach the very first Master’s Degree Program in Real Estate. Dr. Lowry will discuss the opportunities that exist in today’s foreclosure market. Would you believe you can get free grant money from the government? Government grant programs have been helping people achieve various goals, and provide people with opportunities they couldn’t have on their own. Get the lowdown from Chris Johnson, widely known as the #1 Grant Funding Expert. He’ll show you how to get private money grants for your real estate business from the United States Government. Wholesaling involves putting a property under contract, then quickly assigning or selling it to another investor, for a substantial payday. As such, you’re a well-paid middleman that other investors love. No money or credit required on your part. 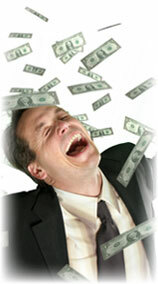 A great way to pocket 4- and 5-figure checks in a matter of days. 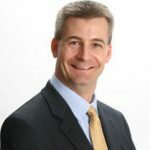 Cameron Dunlap, known as “The Investor Technician,” will detail the opportunities in this lucrative area. A $2,000 value, but yours for peanuts! 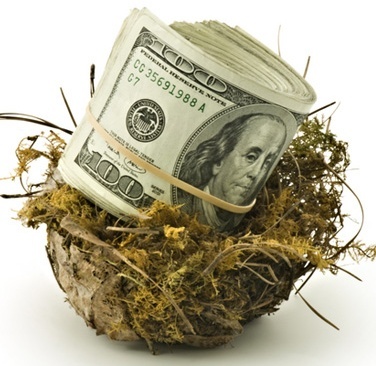 Investors typically spend 4 figures for the insider secrets you are going to receive. I’m ready to let you have access for the absurdly low price of(are you ready for this?) $99! You can spend more than that at a Starbucks every month. All in all, that’s $1995 worth of money making information—all yours for just $99. Don’t get the wrong idea. Just because $99 is really pocket change compared to what others have paid for this kind of knowledge, don’t for a moment believe you won’t be getting big value for your money. You’ve earned the low price by joining our select group of attendees. A simple one-time investment can pay dividends for the rest of your life. In the right hands, the information we’re willing to share can create wealth beyond belief. Just one “big idea” from ONE of our speakers might help you make an extra $10,000 this year .You’ll make more money with less effort in the ultimate investment: American real estate. However, this early bird price won’t last forever. Don’t miss out on this discount because you took too long to make a decision. Register today to take advantage of our special early bird rate. LEARN FROM TOP EXPERTS FOR ONLY $99.00! After your tax deduction and any special discount coupon you may have, your net cost could be half of that! Just think of it! You are getting more than $2,000 of education for less than $100! PLUS, WE KNOW THAT MANY OF LAST YEAR’S ATTENDEES WILL BE SIGNING UP AGAIN THIS YEAR FOR OUR WHOLE NEW LINE UP OF SPEAKERS! The seats are going fast! If you want to experience two days that could literally change your life and put you on the road to true financial independence, this in the one event in 2012 that you MUST attend! 8:30 A.M. and will end approximately around 5:00 P.M. both days! I promise to hold nothing back. I will reveal my secrets so you can take advantage and profit like I have. We guarantee you’ll get at least one valuable wealth-building idea – something you didn’t know before – from each and every speaker. You’ll get DOZENS of powerful ideas from most speakers! We are limiting space to only 350 serious investors. Sounds like a lot, but our event has sold out the last SIX years in a row, so don’t wait. REGISTER NOW while spaces are still available. ONLY $99.00 WHEN YOU REGISTER EARLY! You really are at a crossroads here. Which way are you going to go? You can turn your nose up at my offer and spend the weekend of October 6th and 7th watching episodes of “Keeping Up With The Kardashians,” and missing out on the opportunity to be leap years ahead financially…or…you can register today and join an elite group of investors intent on improving their financial situation– and succeeding at it. Participants from last year’s Wealth-Building Convention are calling, writing and emailing us, telling us how much money they are making from the powerful wealth formulas they learned. You may have seen a few of them in your neighborhood. They are the ones who are snapping up rental homes and apartment buildings at deep discounts. Some of them are flipping properties for QUICK, Easy PROFITS. You’ve seen some of them driving around town in their new Cadillacs, Jaguars and Mercedes on their way home to houses on the golf course, on the lake or at the top of the hill. Maybe you haven’t seen some of the other attendees. They’ve been spending a lot of time on European vacations or taking cruises. Why not join them? You will only know if you attend! Register now — while spaces are still available! Colorado’s mountain high country is beautiful in October, especially when the leaves are turning. 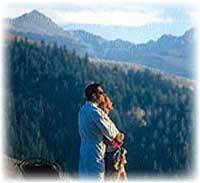 Take a few extra days and stay at a mountain lodge or bed and breakfast. Rent a mountain bike and go touring or fly fishing. Play golf at high altitude and see how far you can blast the ball! Colorado’s mountain playground is less than 90 minutes from the Convention hotel and is an easy drive for anyone. Why not check it out while you’re here? Remember, your airfare is still deductible, even if you stay a few extra days! How great is that? We don’t want to waste your time or money. We’re so sure you’ll learn more than you pay for this convention that we offer a no-risk, money-back guarantee. If you are not 100% satisfied with this convention, please ask us for a refund – there is absolutely NO RISK! If you have any questions, please feel free to contact us. We look forward to hearing from you, answering your questions and seeing you at the 2012 Real Estate Investors Convention. P.S. I urge you not to pass on this without taking advantage of the wealth-producing information you will receive. You don’t want to look back on today in 5 years time, and regret not doing all you could to grow your wealth. CLICK HERE NOW to join our elite group. P.P.S. Fair Warning: Please do not be surprised if you return to this page and find the price has doubled. The admission price at the door will be $199 per person, IF TICKETS ARE AVAILABLE. Don’t risk having to pay double. Register Now! Copyright © 2012 Real Estate Convention. All Rights Reserved.